District Court in Criminal Cases – There are several different terms that are thrown around when referring to criminal cases, and many of them are often misunderstood. Court itself is a big mystery to most people that have never been through the process. The only frame of reference for a lot of us is what we see on television. In all actuality what we see on television is very misleading for many reasons but two stand out the most: 1. Television shows involving court processes are meant to be entertaining, not informative or accurate. 2. Different states have different procedures and different policies so even if something is accurate on a Law and Order television show, that would just show how it works in New York, not necessarily how it works anywhere else. With regard to criminal court, North Carolina has two levels. District Court, and Superior Court. 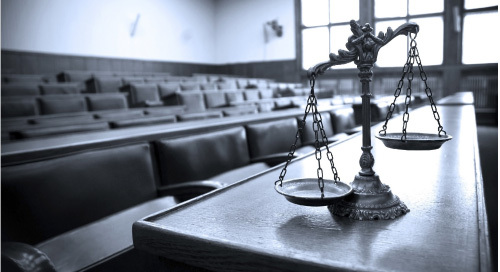 In this blog, we will talk about what District Court is, what is handled there, and what procedures you can expect to adhere to. This is meant for informational purposes only and would be a poor substitute for the advice and counsel of a criminal defense attorney. First, this blog focuses on Criminal District Court only, but please note that many civil matters, such as family law matters, are also heard in District Court. District Court is the first level of court in any criminal case in North Carolina. One of the main considerations of the next steps is whether we are dealing with a misdemeanor or a felony. Felonies start in District Court but are usually moved up to Superior Court before they can be completely resolved. Misdemeanors start in District Court but can be completely resolved in District court with either a plea bargain or a trial. ** However, you can choose to exercise your right to these items at a later time. How cases are decided in District Court? If you have a trial in District Court, it is heard by a judge. He or she listens to all of the evidence presented and renders a verdict. Is District Court the final step? Because you have a constitutional right to a jury trial, any guilty verdict or guilty plea in District Court is automatically appealable within 10 days. If you appeal, your case gets moved up to Superior Court, where you would be entitled to discovery and a jury trial. If you have been charged with a crime in North Carolina or in South Carolina, contact us.